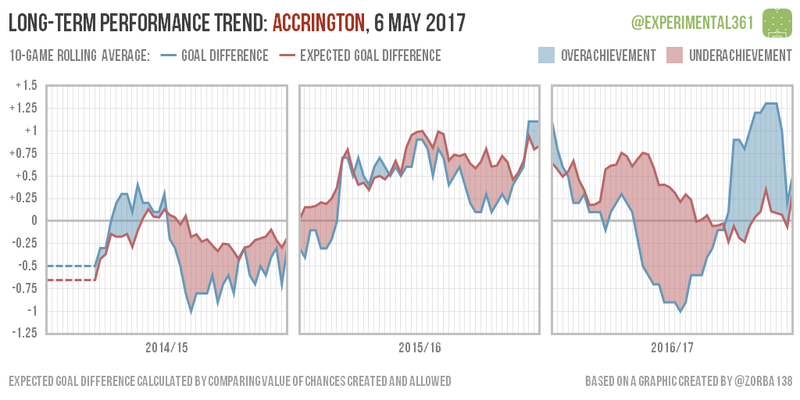 With the League 2 season over I thought that it was about time I updated the long-term trend graphics I introduced at the end of December to see how each club fared throughout their last three seasons. These are explained in full here and briefly below. 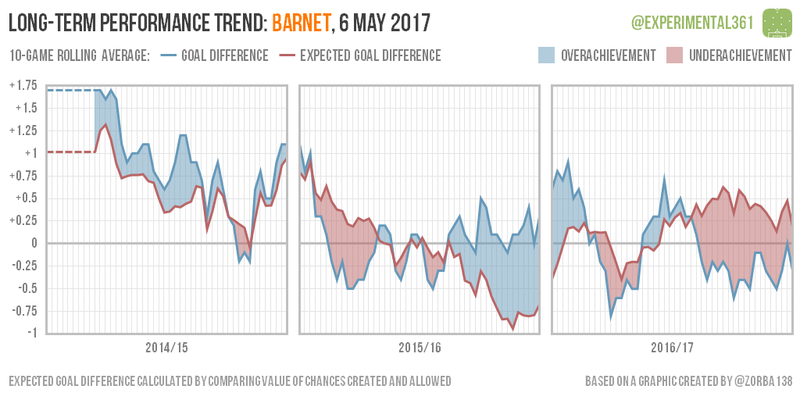 A decent season overall was masked by a tricky second half of the season, but there’s plenty to be optimistic about. 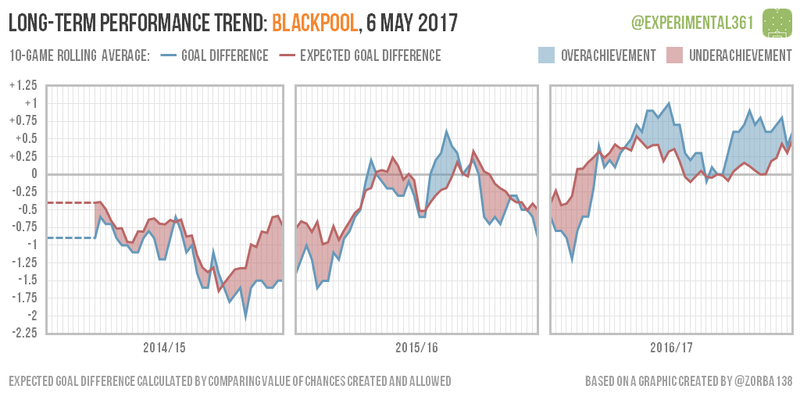 Blackpool’s play-off place was no surprise as their performances were consistently solid. 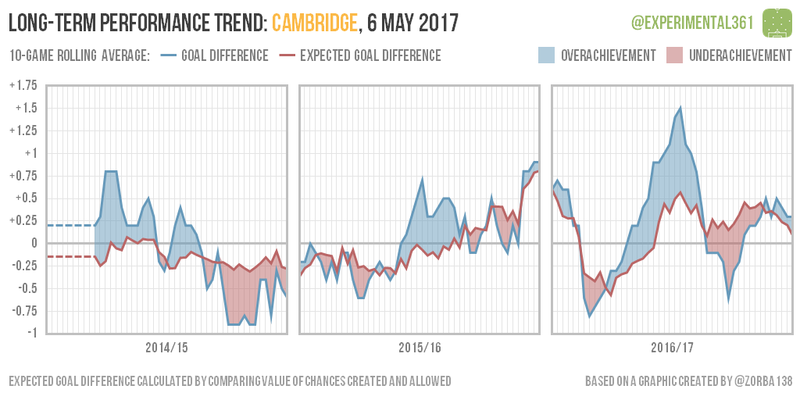 After a poor start, Cambridge steamed into the end of the year riding a massive hot streak that cooled off just too fast to propel them into the play-offs. 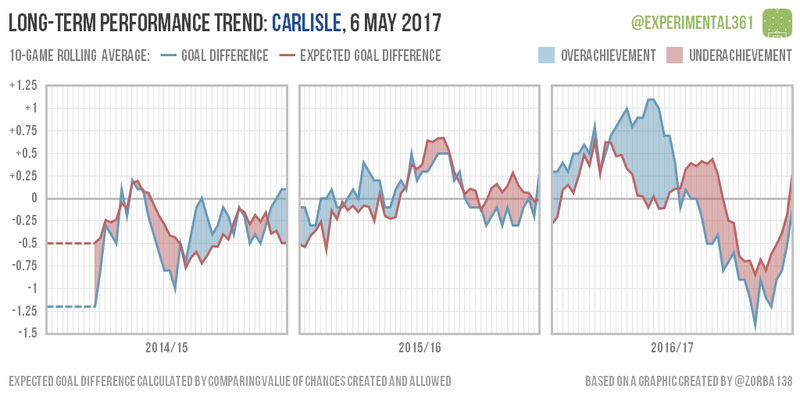 Carlisle’s strong performances collapsed a few months before the end of the season but a late surge saw them cling on to a top seven spot. 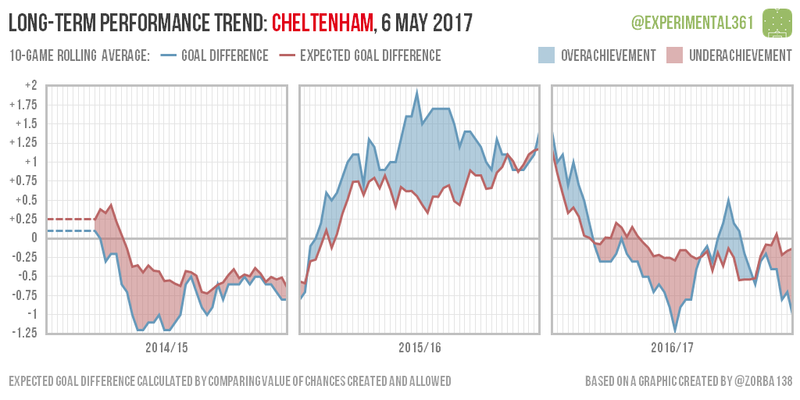 A solid return to the EFL for Cheltenham saw them perform solidly for much of the season – a bit more luck would have seen them sitting higher in the table. 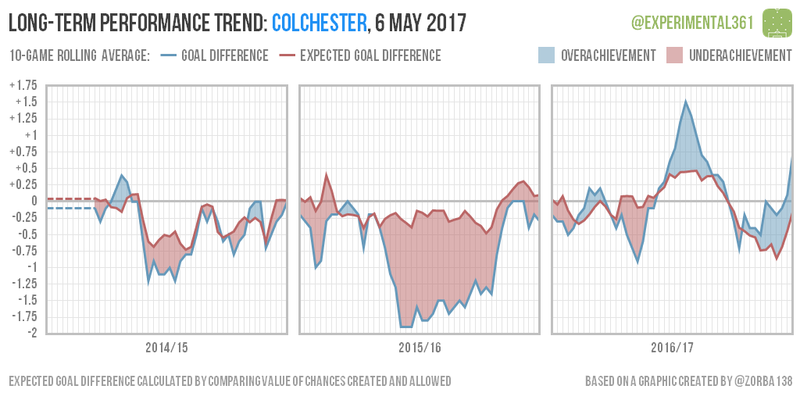 Colchester’s season was relatively middling, with an unsustainable surge in mid-season almost replicated by a strong finish. 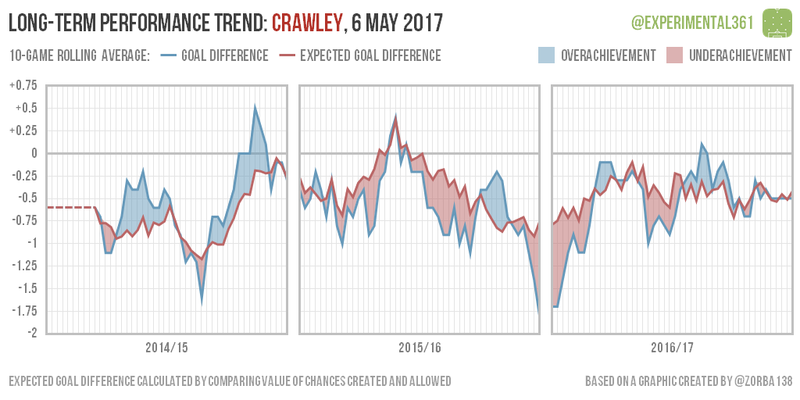 While they improved slightly on last season’s showing, this was a consistently “bottom half” season from Crawley. 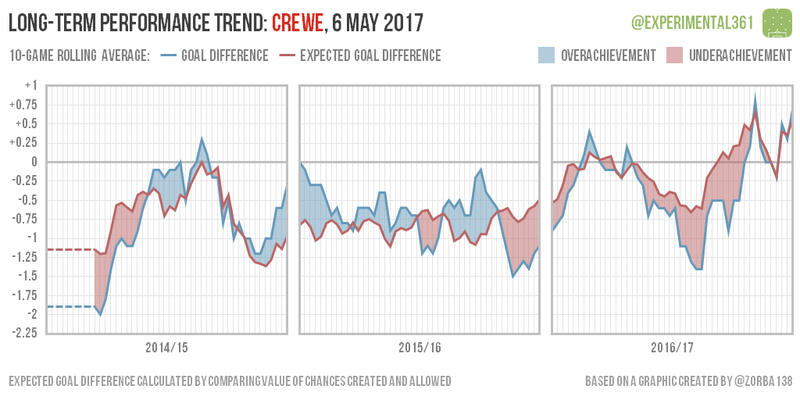 The change in managers looks to have paid off for Crewe, with a big uptick in performances in the second half of the season. 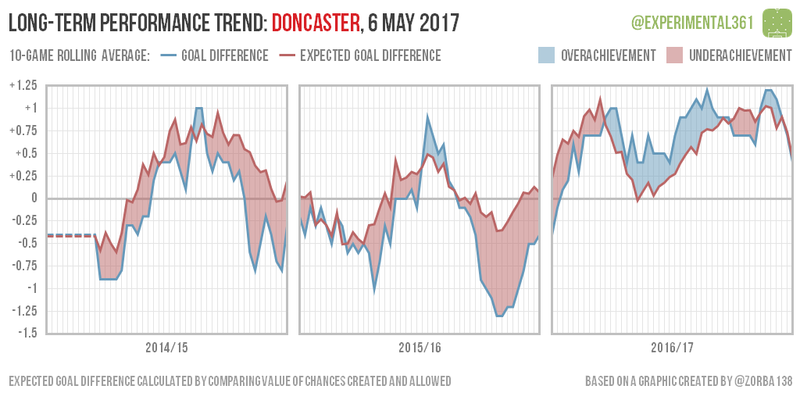 A strong season from Doncaster was undermined by a lull a few months into the season that probably cost them the title. 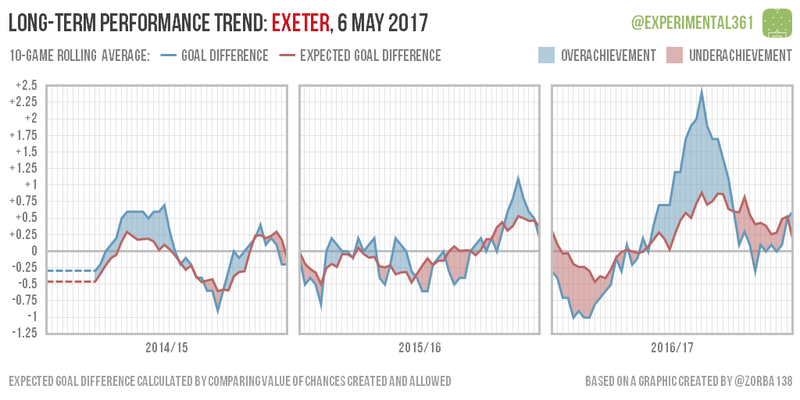 Exeter’s poor start owed a lot to bad luck but things evened themselves out with a huge hot streak just after Christmas. 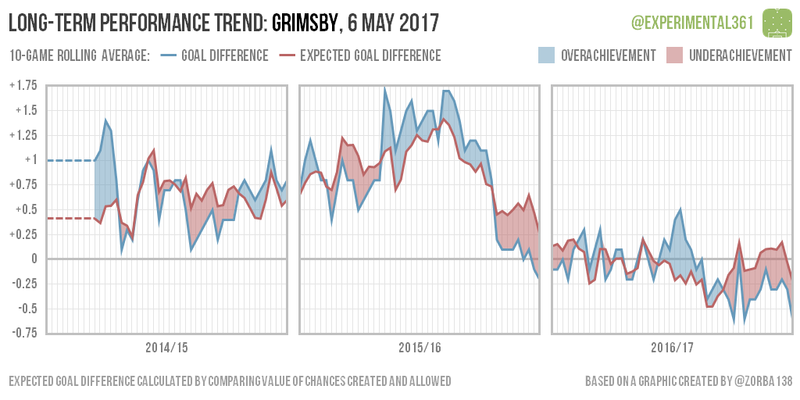 This was a season of gradual decline for Grimsby, although replacing their manager late on saw things finish encouragingly. 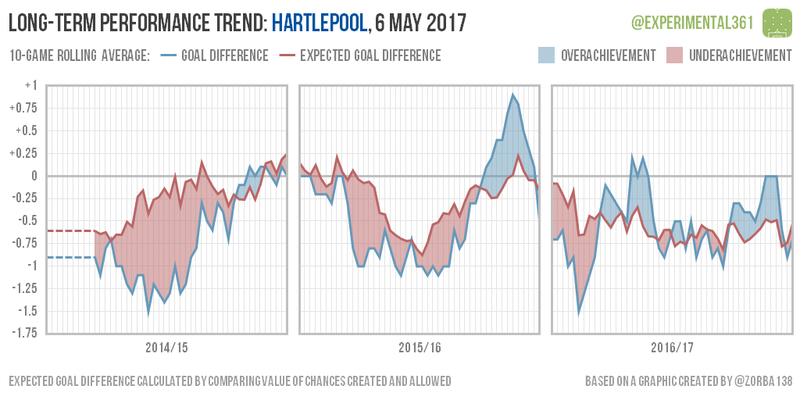 This was a disappointing season for Hartlepool throughout, with performances consistently poor. 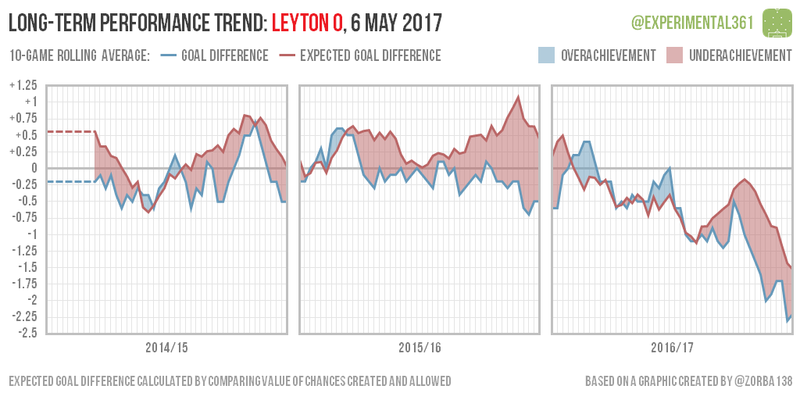 Orient’s hellish decline is clearly visible here. 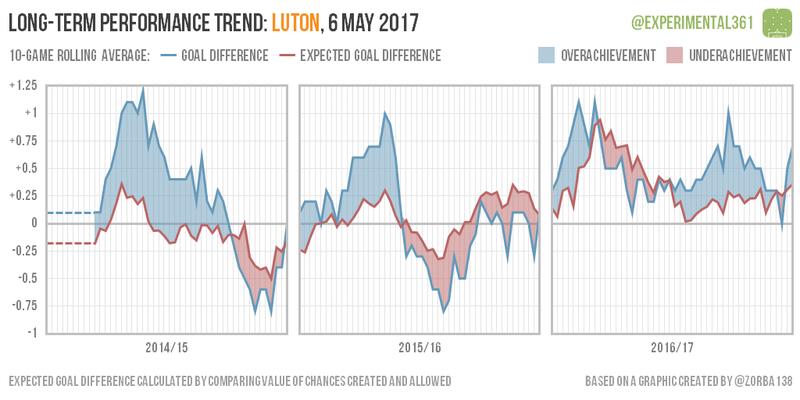 After a strong start, Luton settled into a steady above-average routine that saw them coast to a play-off finish. 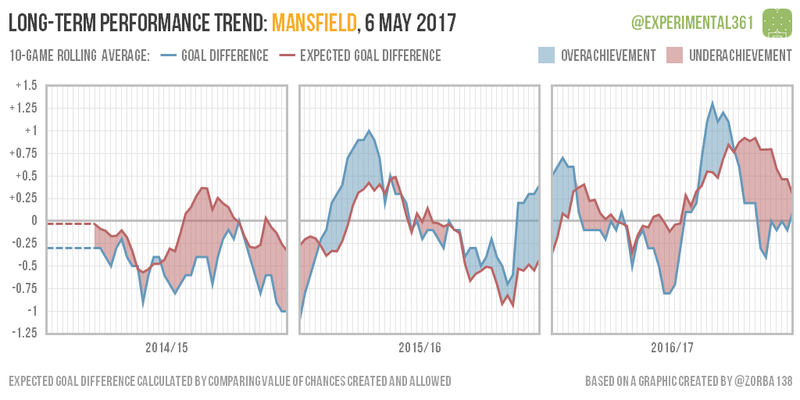 Mansfield’s winter spending spree resulted in improved performances but an unlucky-looking run-in saw them miss out on the play-offs. 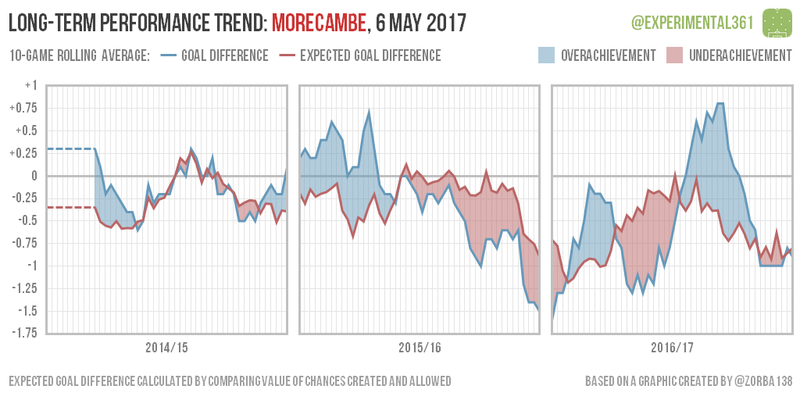 A rollercoaster of a season saw Morecambe overachieve to begin with, then again later on after some genuine improvement in mid-season. 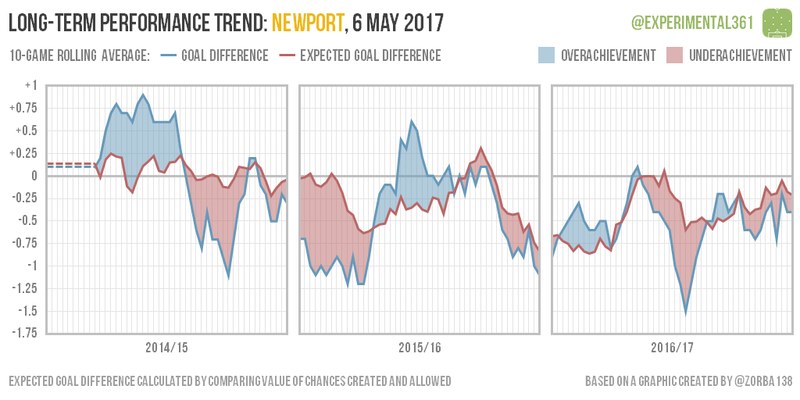 Newport’s great escape was built on steady improvement over the season rather than any dramatic change in fortunes. 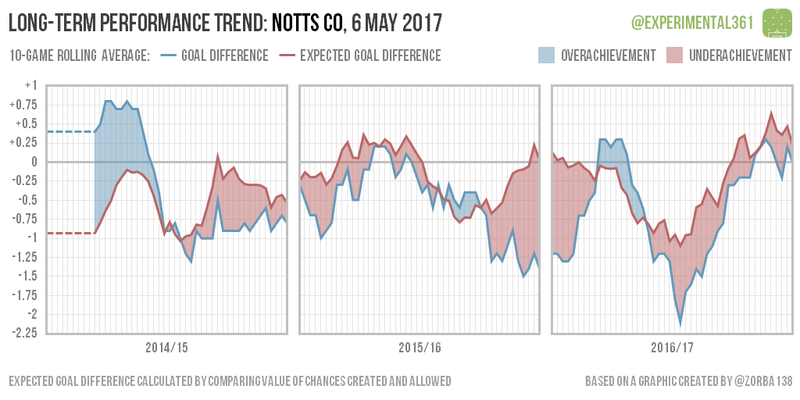 Kevin Nolan’s appointment made a huge difference: County looked in real trouble before their huge improvement in the second half of the season. 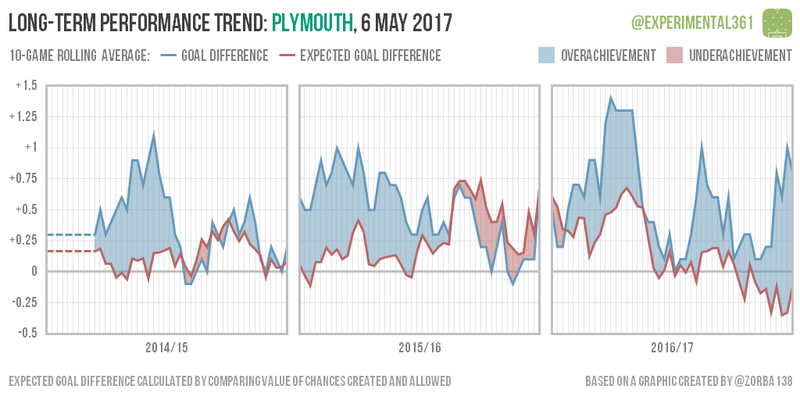 I’m a bit worried about Plymouth – either they’re doing something very clever or they’ve ridden their luck massively in securing promotion. 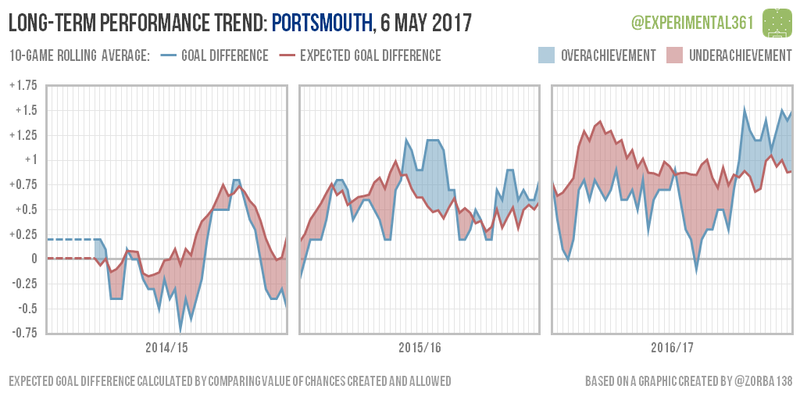 Pompey have looked consistently dominant this season and the rotten luck they’ve endured for much of it finally gave way in time to see them top the table. 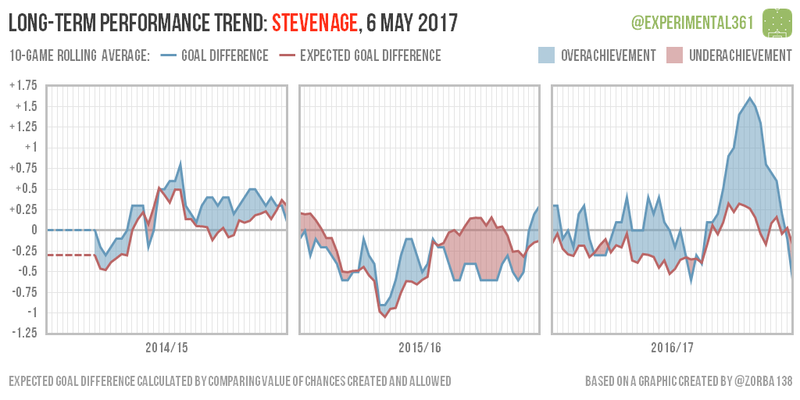 Stevenage have definitely improved since last season but their late surge into the play-offs looks to have been due to a hot streak, so I’m not surprised to see them miss out. 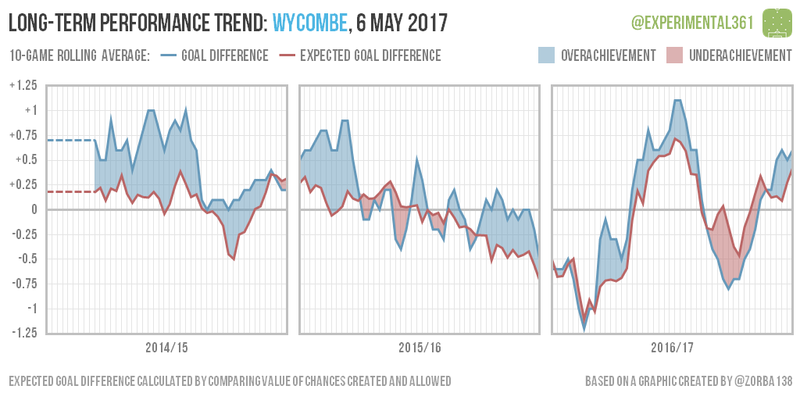 Wycombe reversed a steady decline this season with a dramatic improvement, and now they look like a solid – albeit streaky – side. 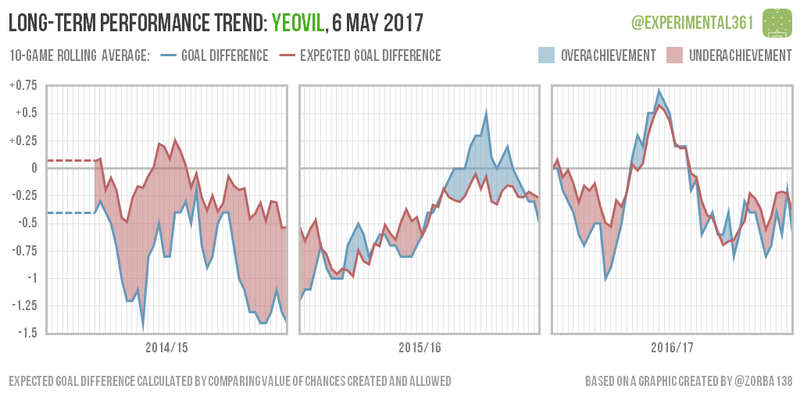 Yeovil’s strong performances heading towards Christmas turns out to have been a false dawn, with them reverting to type in the New Year.